Wonderful antique early Victorian flat ankle boots, which have been produced from cream soft kid leather, with square toe, with laced fastening to each ankle. The boots have been lined in waxed linen, and have leather soles. The shoes measure 24cm (9½") long, 6cm (2½") wide and 13.5cm (5½") high. 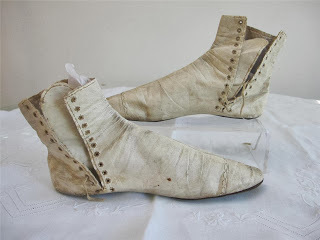 The boots are in a very good condition, although there is wear and staining to the leather. 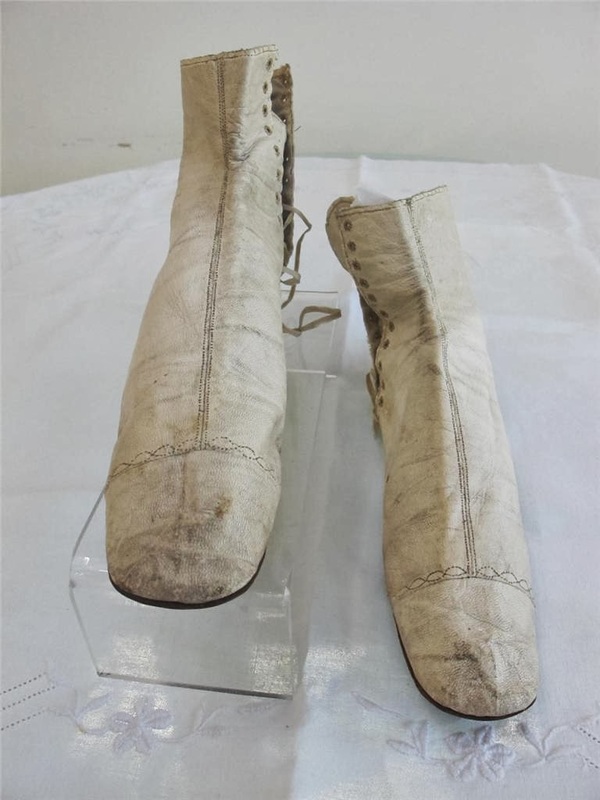 The original laces are in a very delicate condition, and have nearly deteriorated completely away on one boot, and these need to be handled with care`Please refer to the above photographs for details of condition. First, Victoria didn't take the throne until 1838. 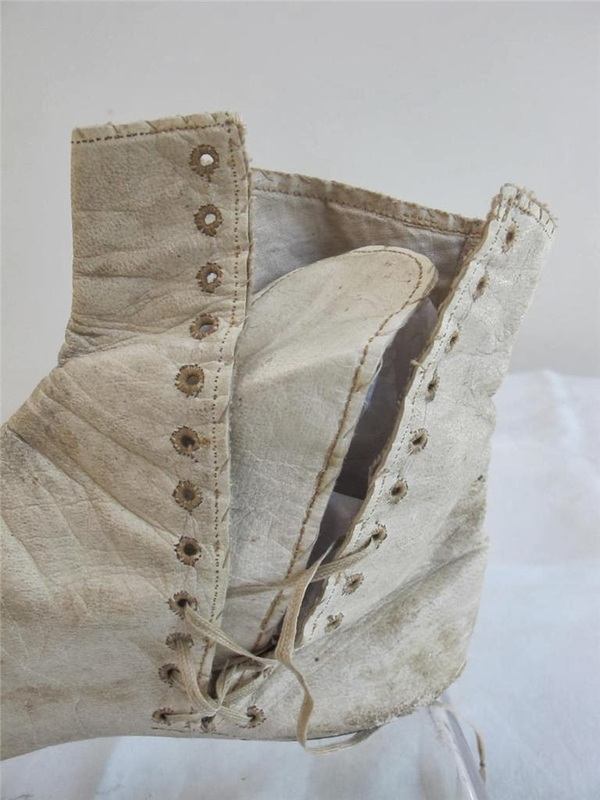 Most historians count the 1840's as the first decade where she has influence over fashion - not the 1830's. 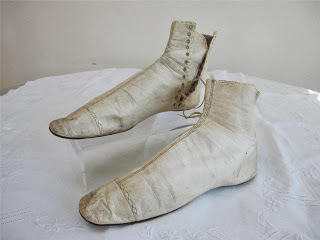 The 1830's are still in the Romantic era where they have a thing for bows and dressing up like fairy tale characters. 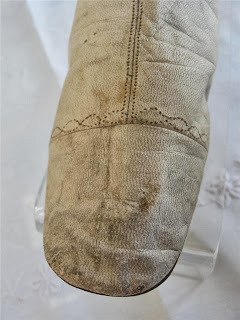 Second, I doubt the linen is waxed - probably just worn. I really wish the seller took a picture of the soles! Prior to about the mid 1850's/early 1860's, shoes has straight lasts. 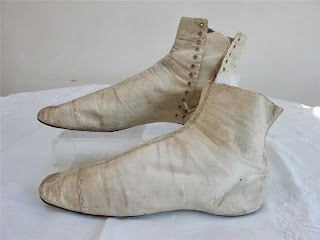 This meant that, when you first wore the shoes, they could go on either foot. 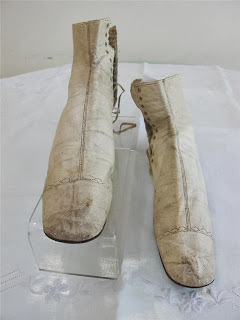 However, after the first wearing, it becomes clear which foot the shoe belongs on. (If you try to switch, the shoe will hurt!) 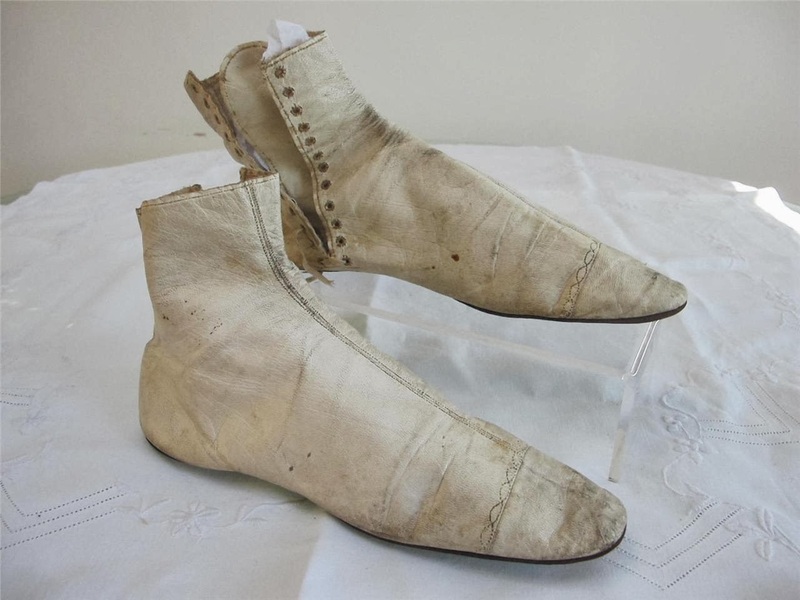 Right and left shoes were simply not created in the 17thc, 18th, and early 19th Centuries within Western countries.